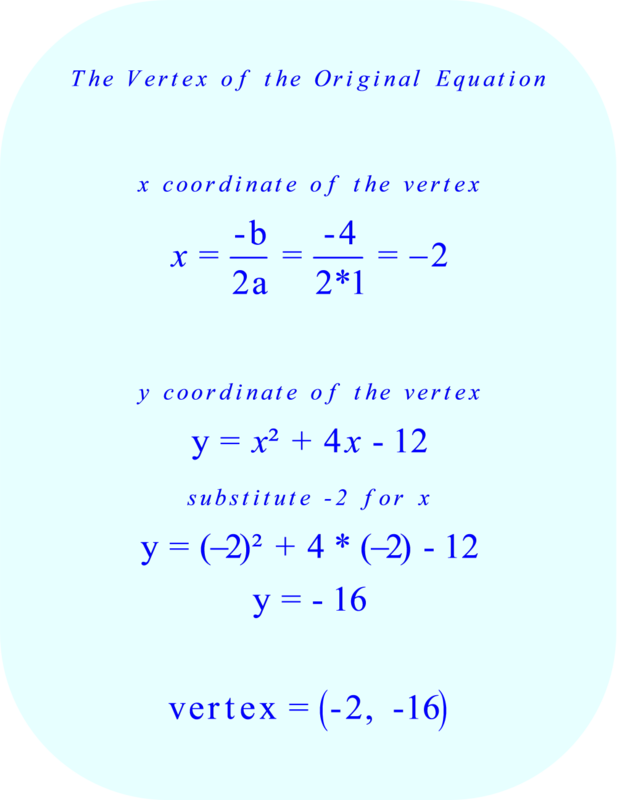 • and shares one of the x-intercepts of the graph of y = x^2 + 4x - 12. • Explain whether the graph has a maximum or minimum point. 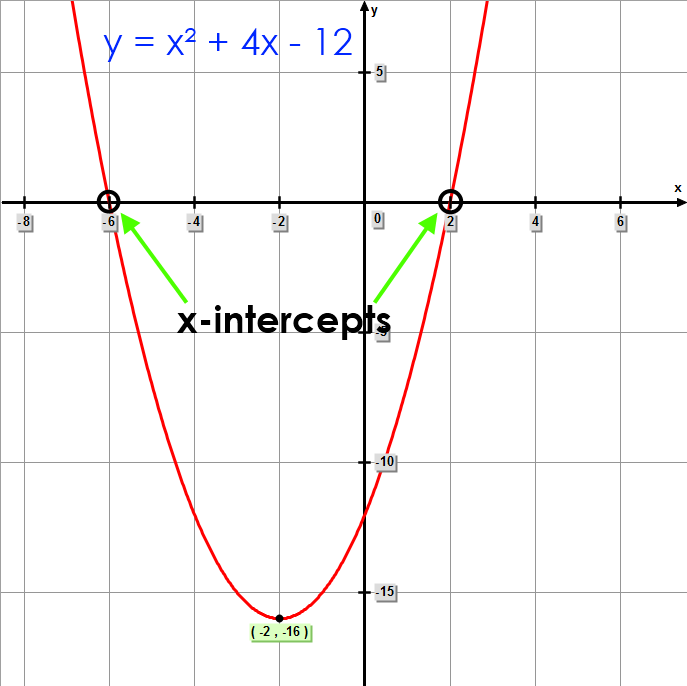 • Find the vertex and x-intercepts of the graph. C) Use complete sentences and show all work to receive full credit. • and shares one of the x-intercepts of the graph of y = x² + 4x - 12. 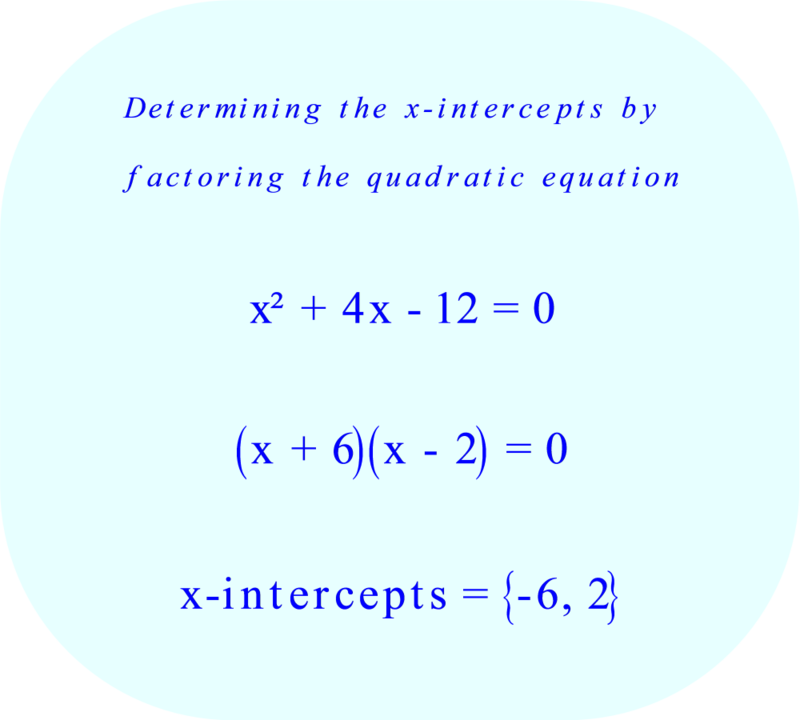 The x-intercepts can be found by solving for x. 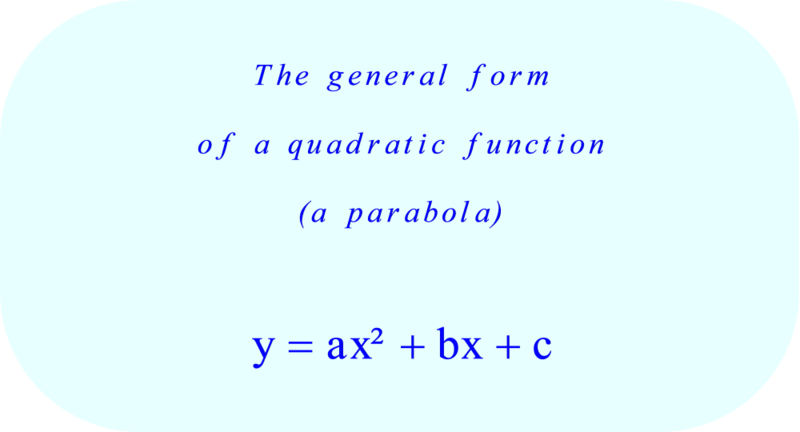 Finding the value of x (the x-intercepts) can be determined by factoring the quadratic equation, using the quadratic formula, completing the square, graphing, or using the Indian method. We are going to compare two methods: (1) graphing, and (2) factoring. Both the results obtained by graphing and the results obtained by factoring are the same. 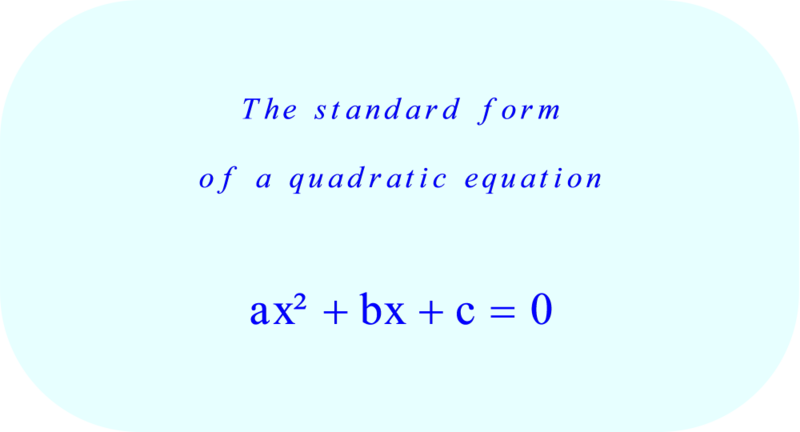 We know what the factored form of the original equation is. The factored form shows the two intercepts. 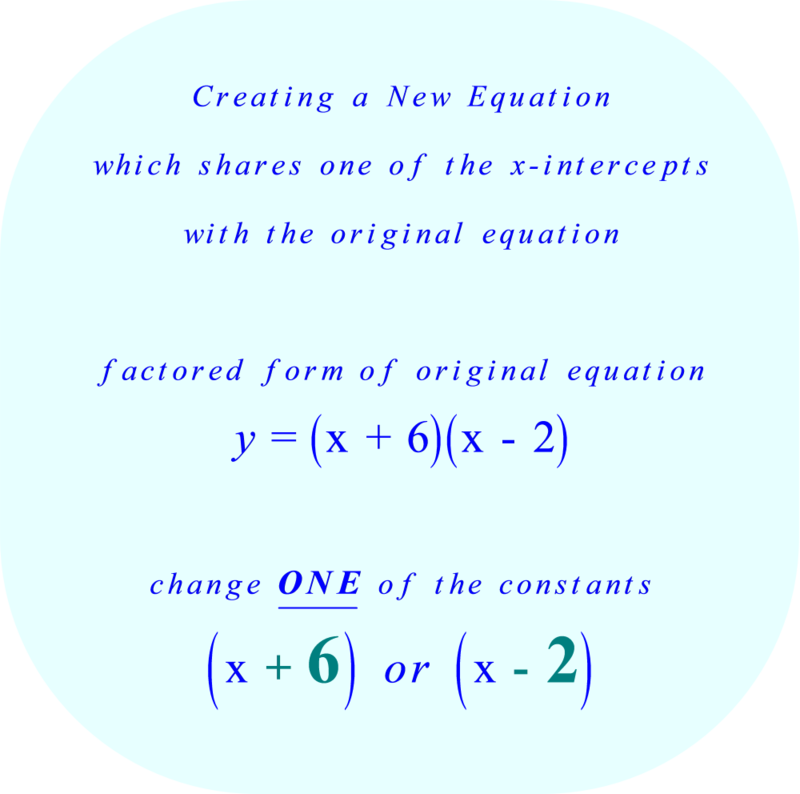 Changing ONE of the constants in the factored form will create a unique equation which opens in the same direction as the original equation and shares one of the same x-intercepts. 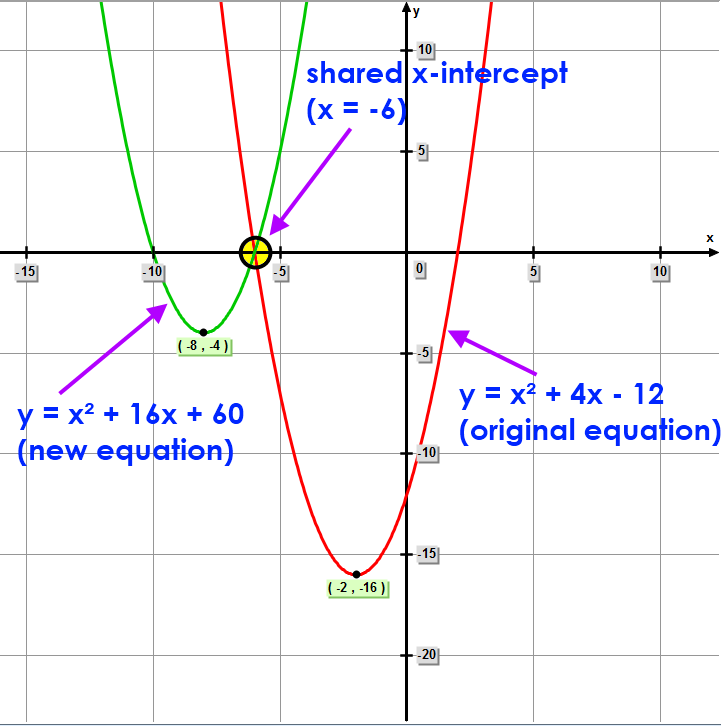 When both the original equation and the new equation are plotted on the same set of coordinates, it is obvious that both open upward and both share the x-intercept: x = -6. 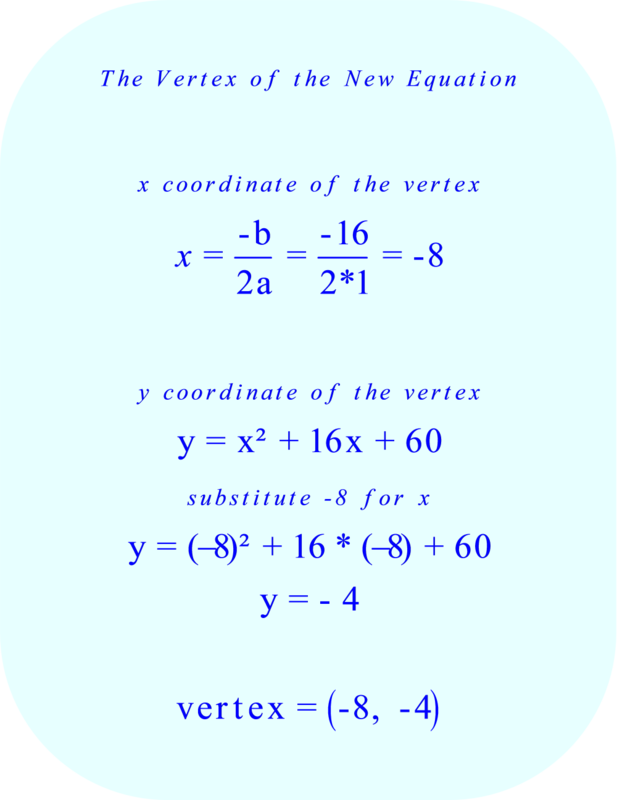 The vertex of this parabola is a minimum point. There is no maximum point.